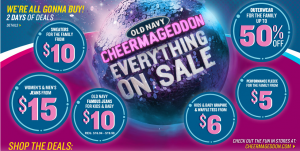 Old Navy Black Friday Ad 2014! 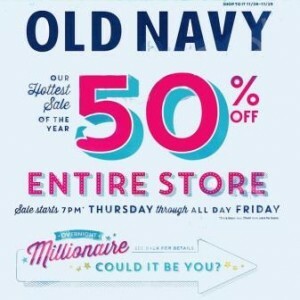 The Old Navy Black Friday sale begins at 7 p.m. on Thursday and continues all day Friday. You can save 50% off the entire store! The will also be having an Overnight Millionaire Contest. The first 500 in line get a chance to win $1 million. 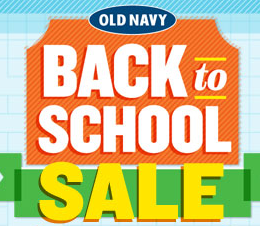 Old Navy Back to School Sale! 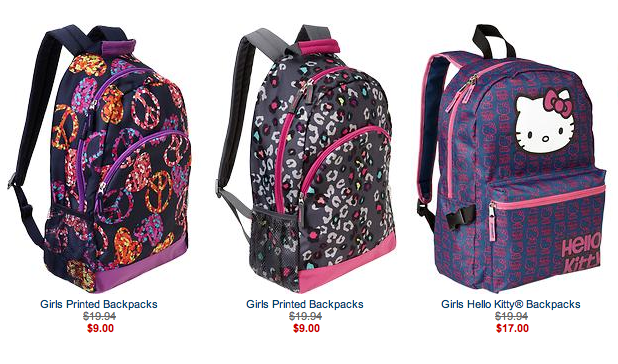 Get backpacks for as low as $6.30 with the 30% off code! 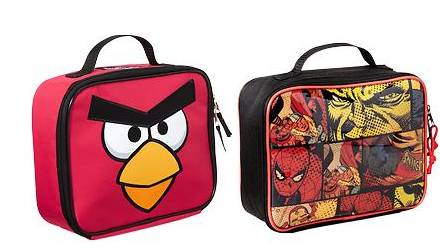 Get lunch totes for as low as $4.90 with the 30% off code! Old Navy Black Friday Sale! The Old Navy Black Friday sale is live online! Score great deals on clothing for the whole family and skip the lines when you shop online! Get free shipping when you spend $50 or more. 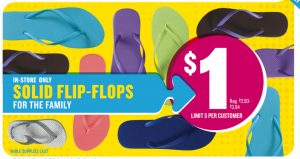 Old Navy will have their $1 flip flops tomorrow only! This sale includes limited sizes, colors, and quantities and is available in stores only. 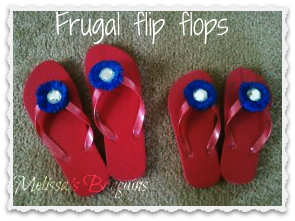 Flip flops are available at this price while supplies last only. I recommend going EARLY to make sure you can grab some! You could also add ribbons, pom poms, bows, and more! Make sure you grab a Michael’s or Hobby Lobby coupon to save even more!